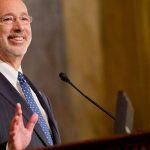 Pennsylvania Governor Tom Wolf has warned that the state’s main bank account will run out of cash in three weeks and its bruised credit-rating is in danger of taking a further pummelling if House Republicans don’t “get their act together” on the budget. 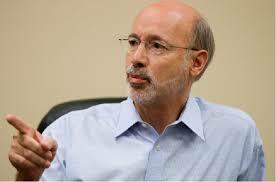 Pennsylvania remains perhaps the most likely state to next legalize and regulate online gambling in the US. There is a big appetite among lawmakers to do so. The Senate’s budget plan factors in $200 million in revenue from a gambling expansion package that includes online gaming, but protracted disagreements in the legislature on budget funding is holding the process up. A $32 billion budget bill was passed by legislators at the end of June, offering the state a degree of spending authority, but House GOP leaders have failed to produce a revenue plan of their own. Meanwhile, they rejected a bi-partisan plan that passed in the Senate last month, which had the governor’s support. Then they went on vacation. 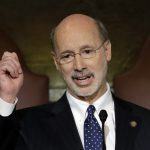 “I think there are a lot of adults in the room in Harrisburg, and some of the folks on the House Republican leadership ought to get their act together and finish the job,” Wolf told KDKA-AM radio in Pittsburgh this week. According to the Philadelphia Tribune, there are no plans for the House to return before the September 11 start of the new legislative session, although a small group of Republicans are believed to be working in Harrisburg to develop a revenue plan. House Republicans are unhappy with aspects of the Senate’s plan to borrow heavily against Pennsylvania’s future pay-off from the 1998 multistate settlement with tobacco companies, and to increase taxes on consumer utility bills. But many are alarmed by the House’s inaction during the current cash-flow crisis. Last Friday, when auditor general Eugene DePasquale signed off a “$750 million line of credit to mitigate cash-flow problems,” he didn’t hold back on his criticism of the House. 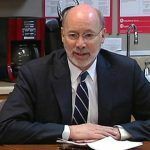 “The fact the state is running out of money in the second month of the fiscal year should be a wake-up call to every elected official in Pennsylvania…” he said. 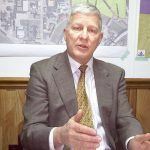 “I am concerned that schools and county agencies across the state are once again worried about funding uncertainties. Both House and Senate have approved differing gambling bills, but there is still much work to be done if consensus is to be reached on all of the complex matters related to budget funding.